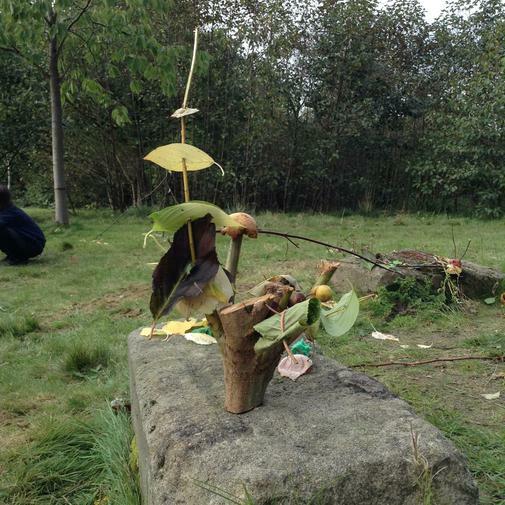 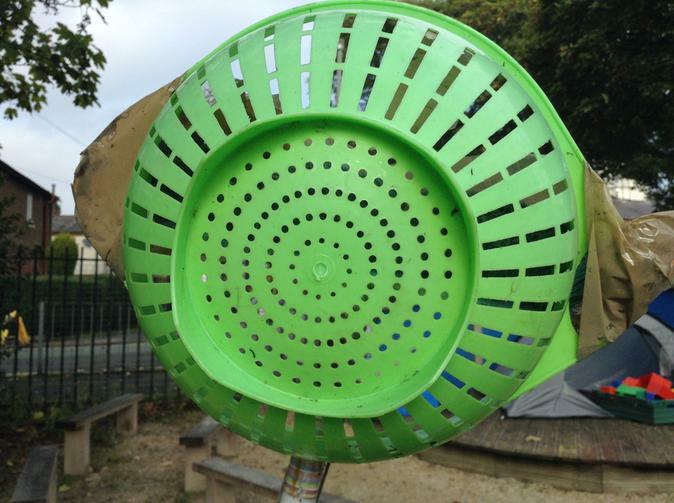 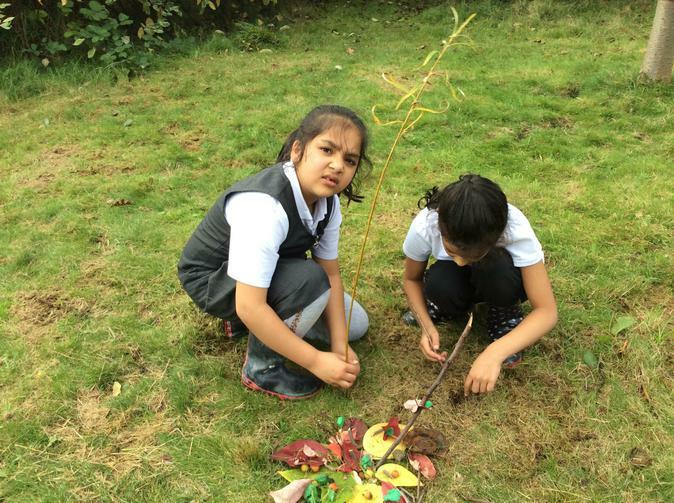 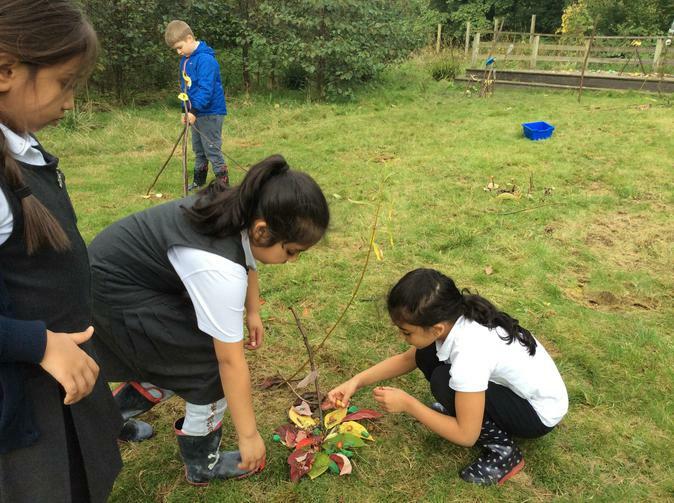 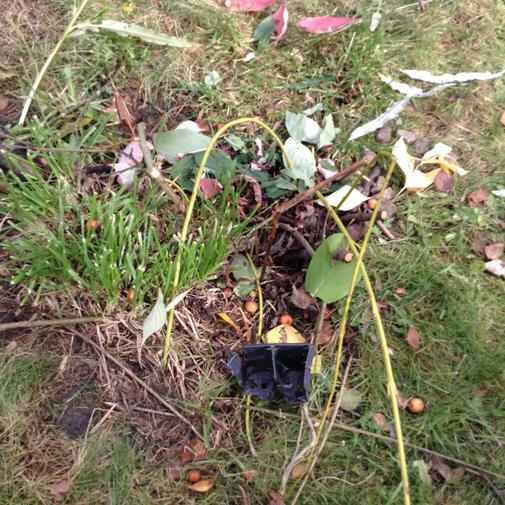 Linked in with our Geography Topic of "Rubbish and Recycling", we have been studying the work of an environmental artist called Tim Pugh. 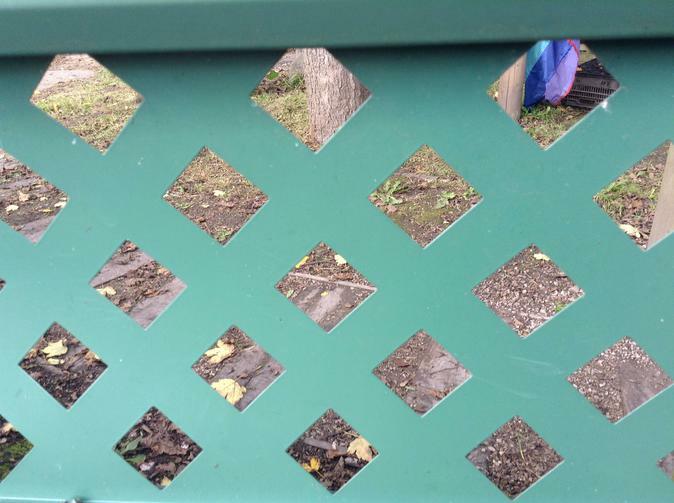 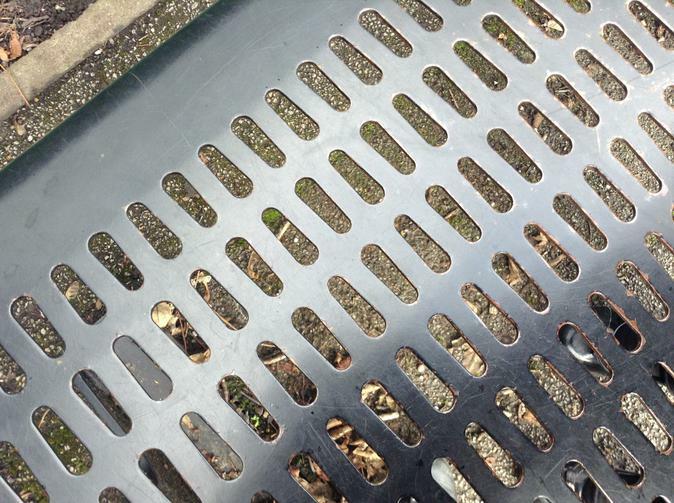 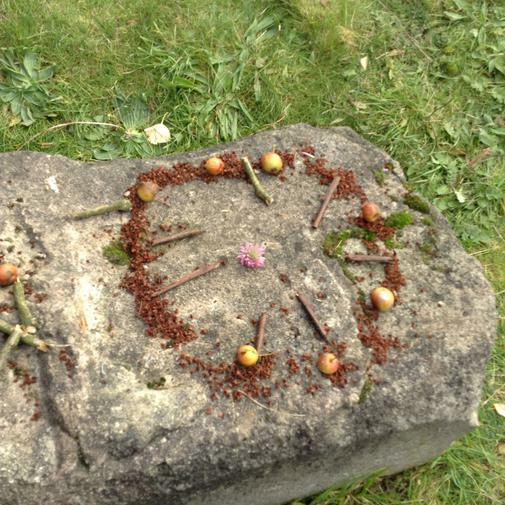 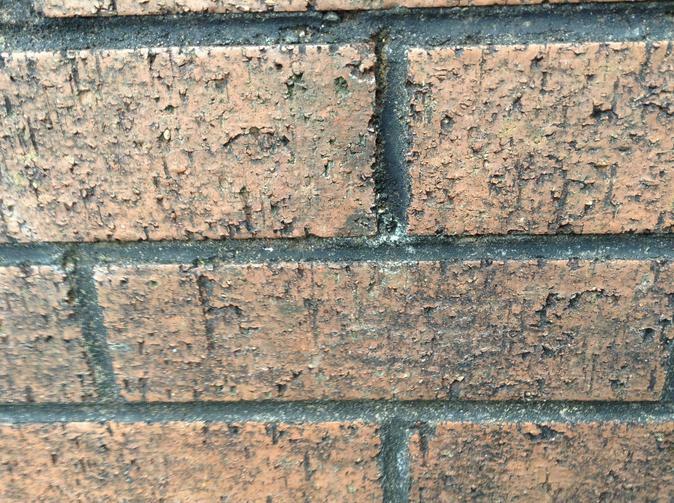 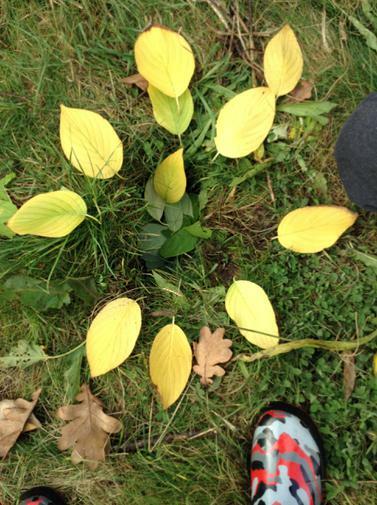 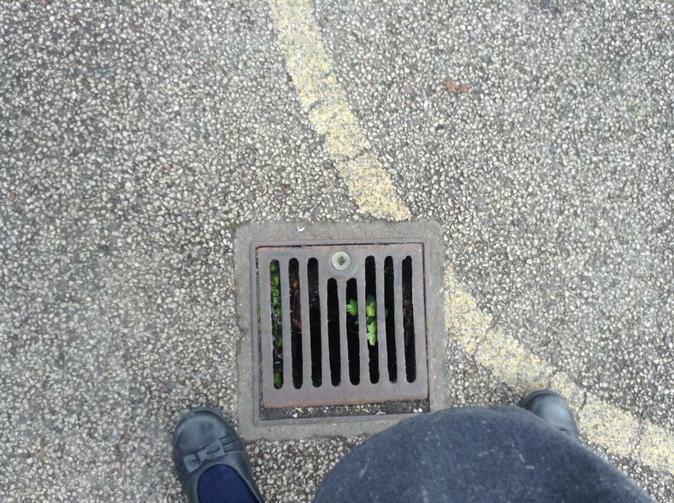 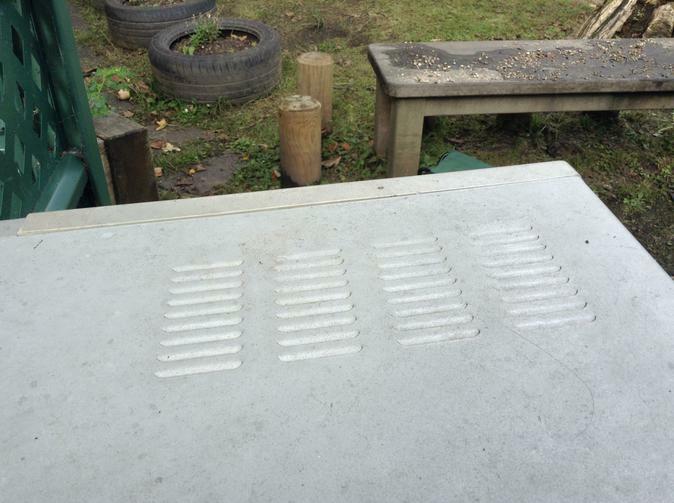 We used our school environment to look for patterns and shapes to inspire us. 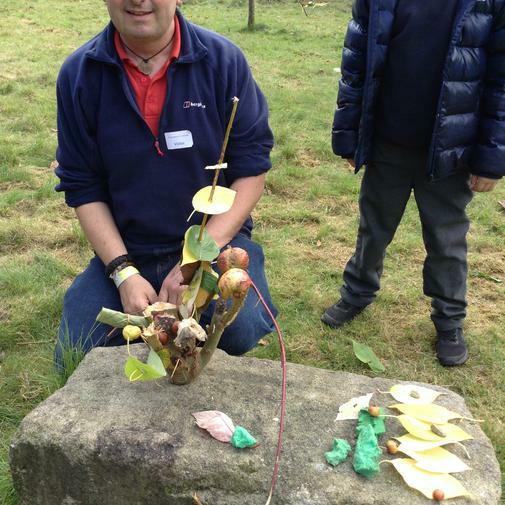 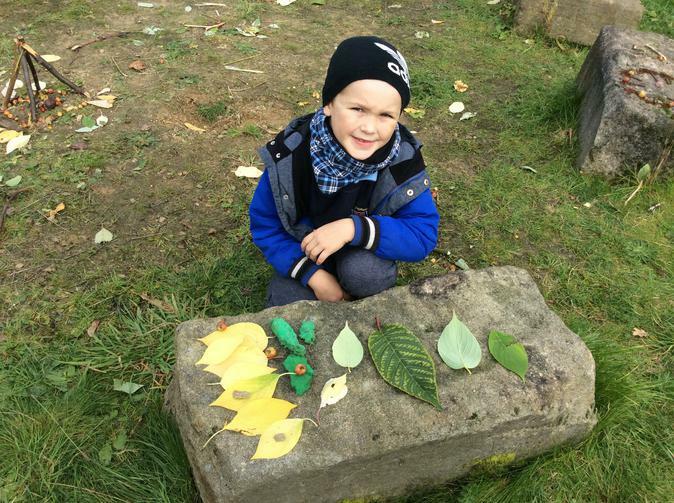 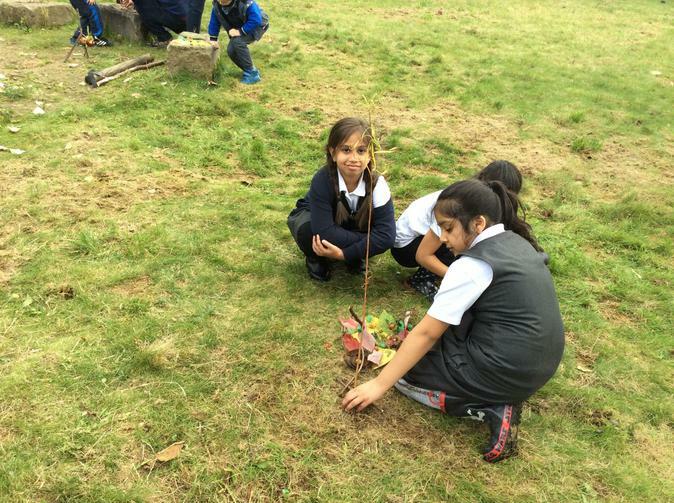 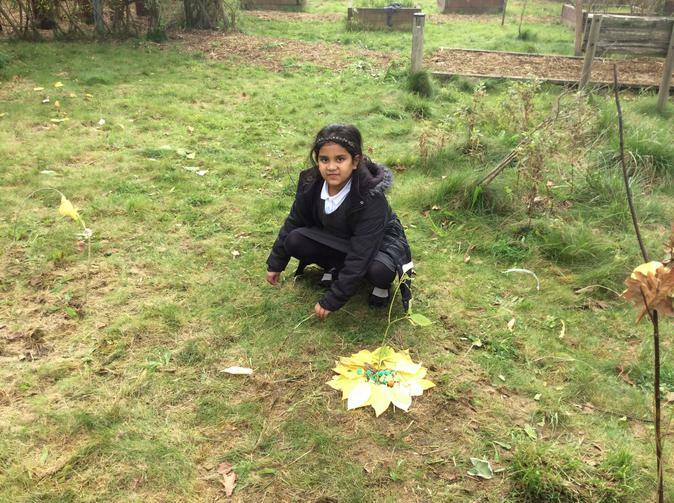 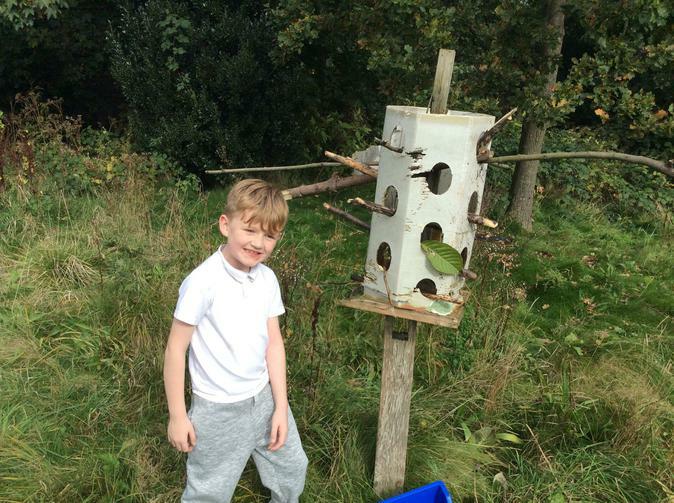 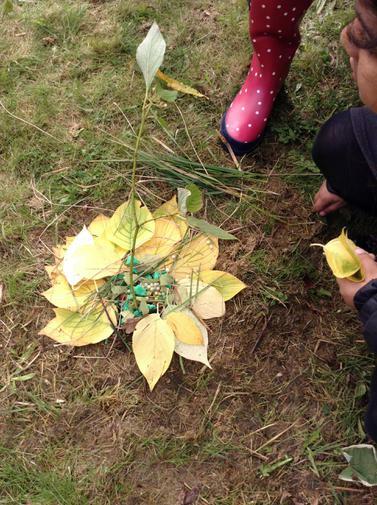 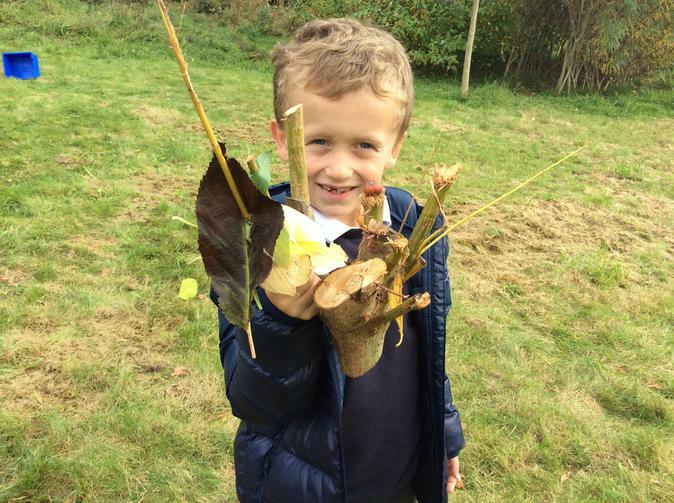 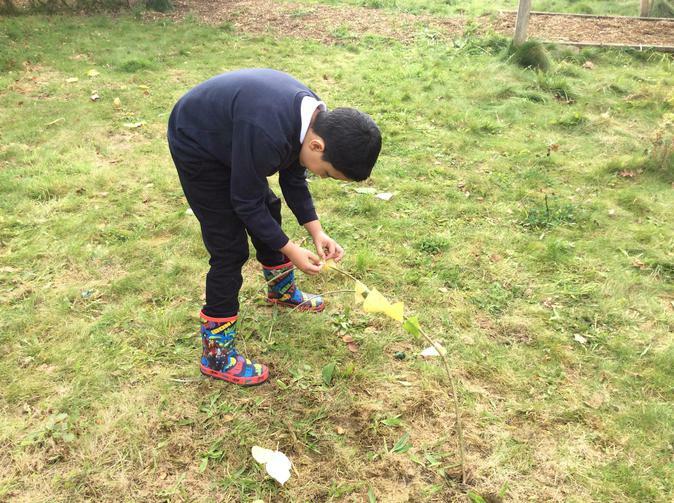 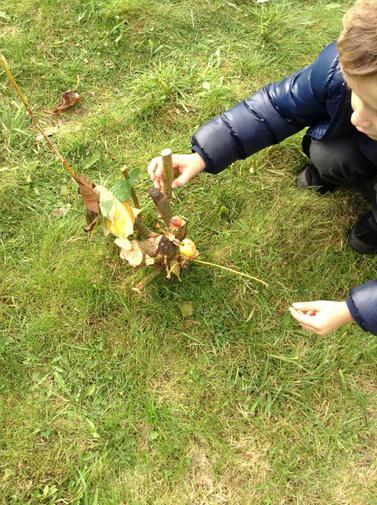 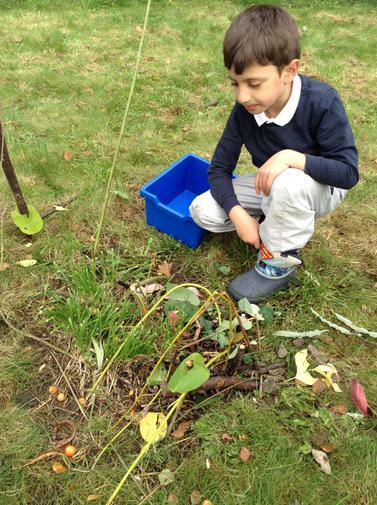 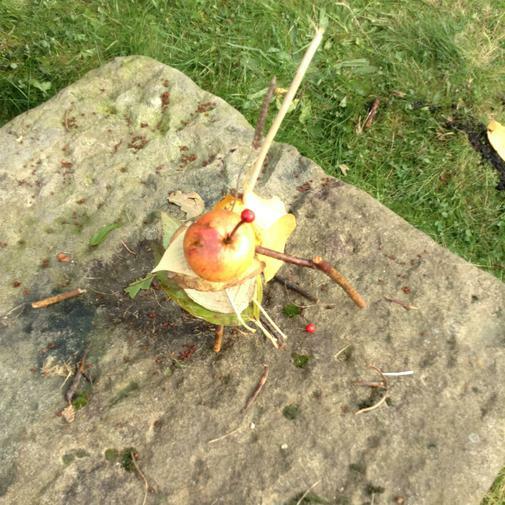 We were even lucky enough that he came into school for the day to help us create some of our own environmental art! 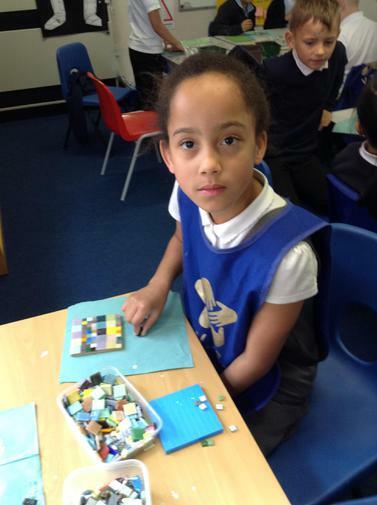 Our DT project this term has been structures. 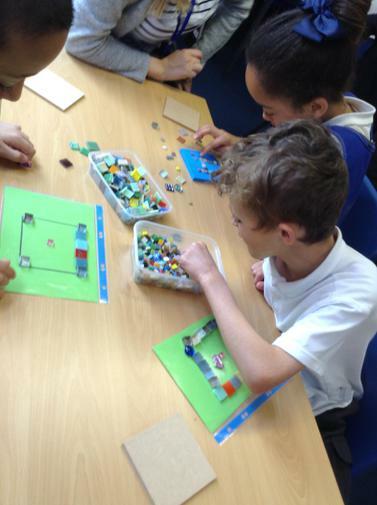 As part of our RE unit based around the Christmas Story, Year 3 have designed, planned and made their our nativity stables and inn. 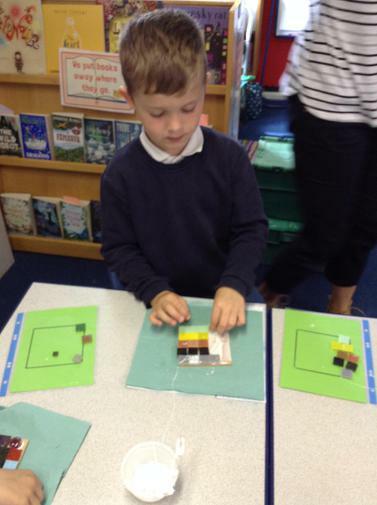 In pairs, we looked at lots of different designs and materials before deciding on our own. 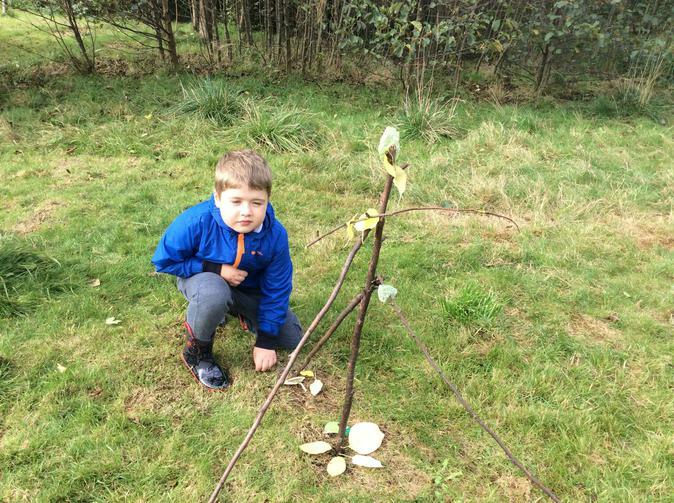 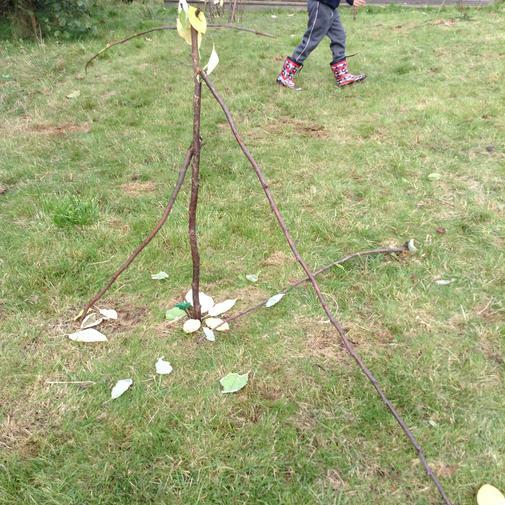 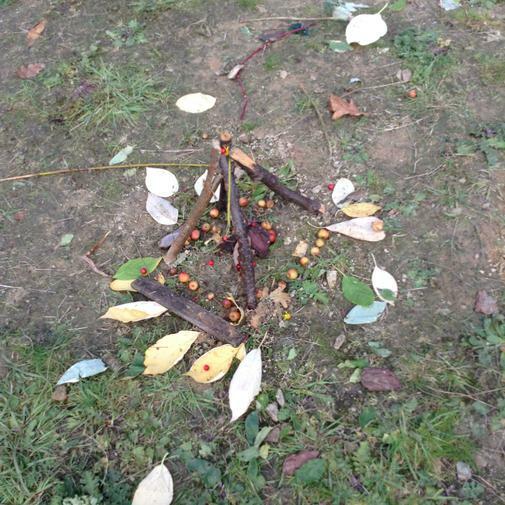 Everyone worked really well to build their structures using a range of materials and joins to build them. 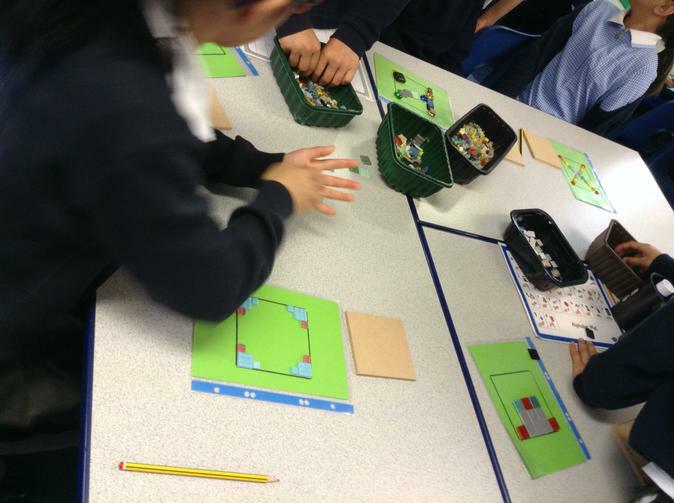 We then evaluated our design and build and thought about what we liked and what we could improve on next time. 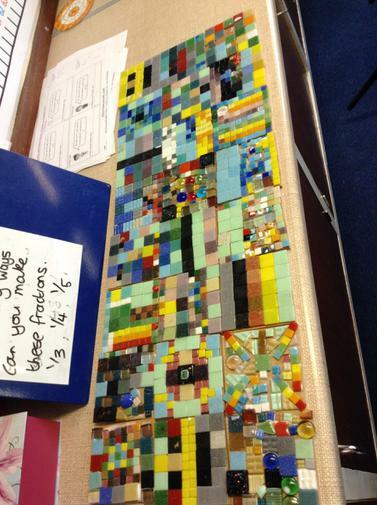 They were so good that we have used them as part of the Lower Junior Christmas display in the corridor! 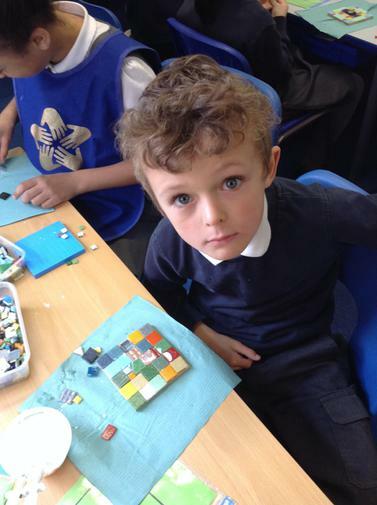 This half term, we are studying the work of Pablo Picasso. 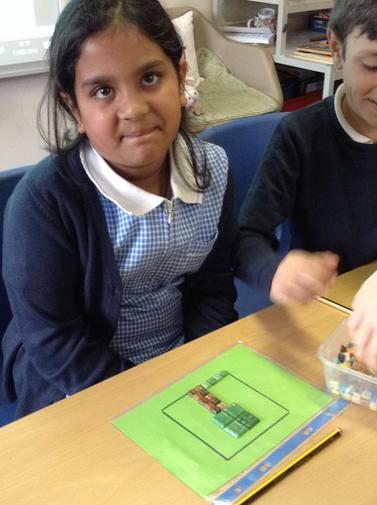 We have linked some of the unit with our computing and done some digital research about him and used this information to make Wanted posters about him! 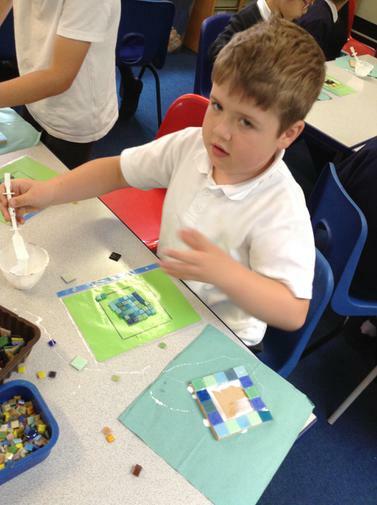 We used a website called picassohead to create our own digital Picasso style pictures. 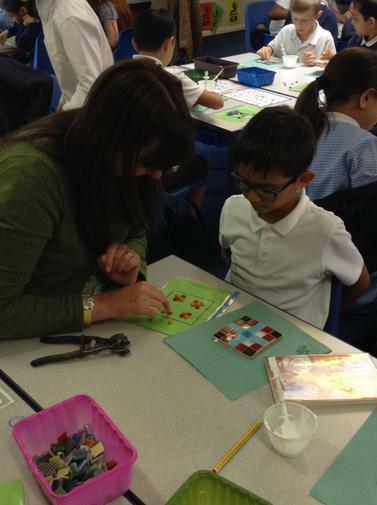 Inspired by Pablo Picasso, we used collage and paint to create our own Lob style pictures from our Literacy work. 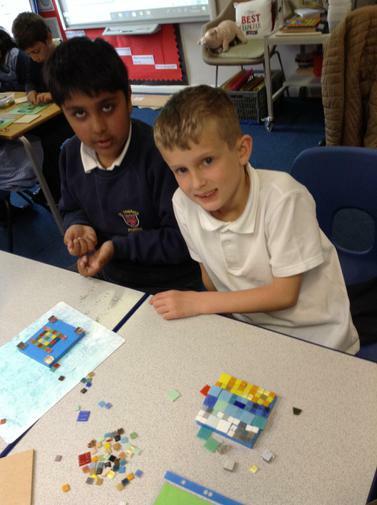 We put them together to make one big Lob for our display. 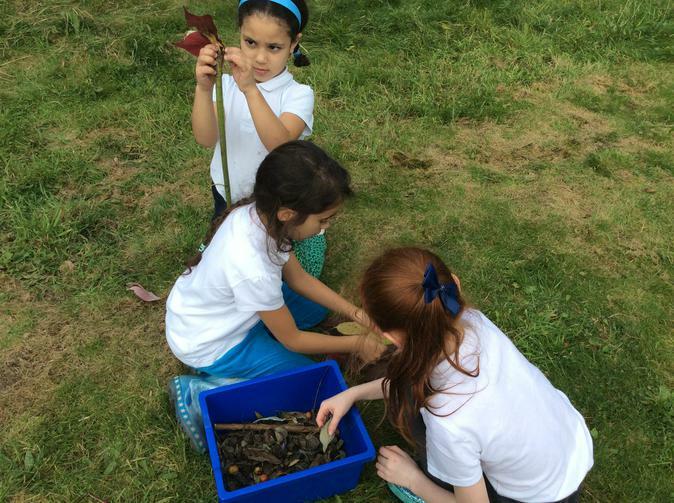 2nd Half of the Spring Term. 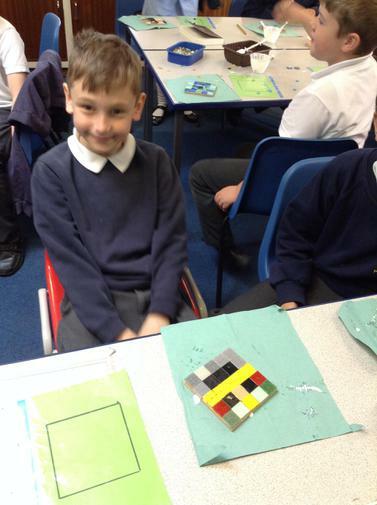 During STEM week we combined our Science and DT together to make an electric car! 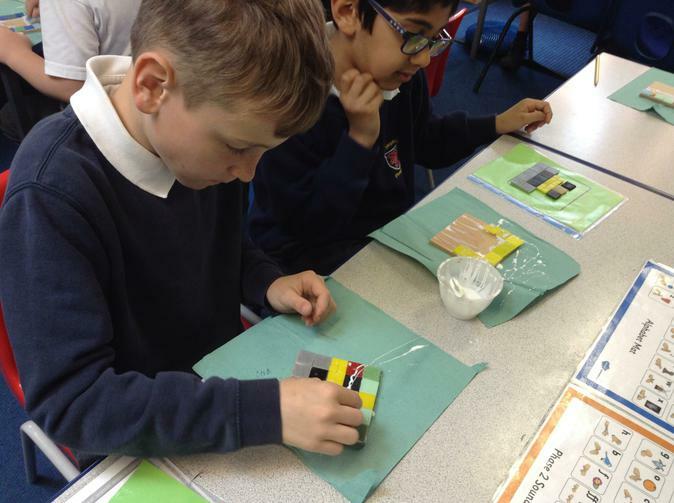 First we had to measure, cut and stick together wood to make the base of our car. 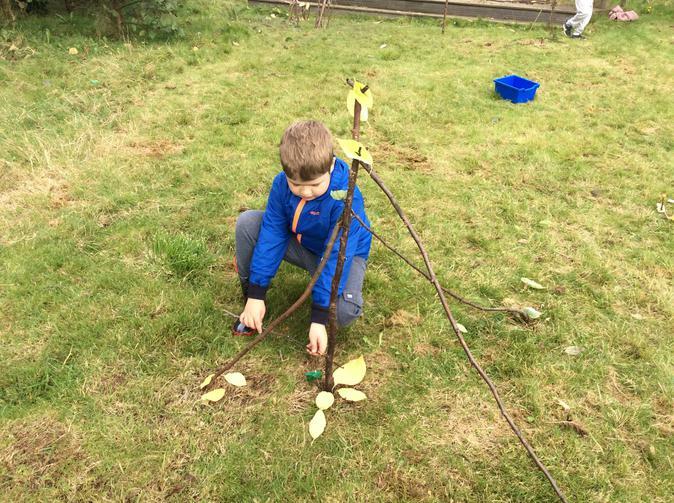 We added axels using wooden dowelling and wheel to make it move. 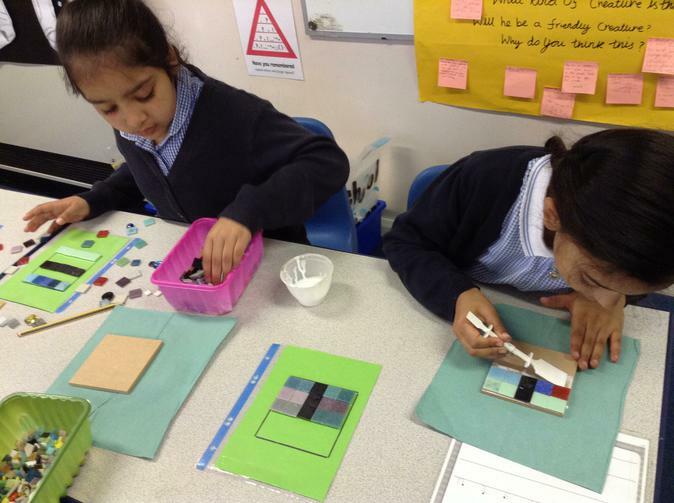 We strengthened it the corners by using cardboard triangles to make them stronger. 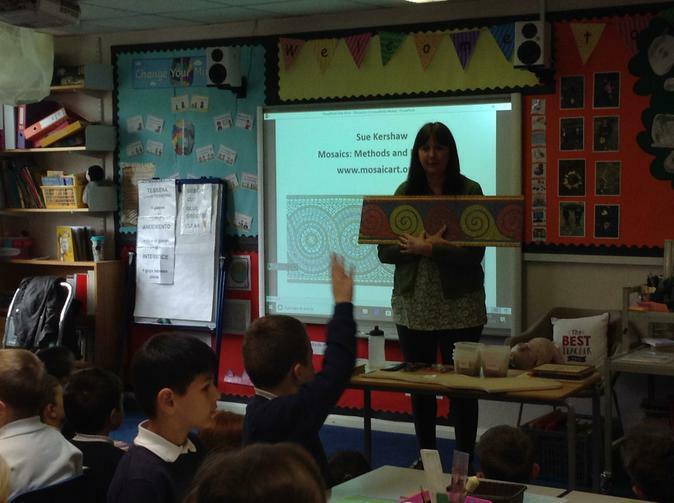 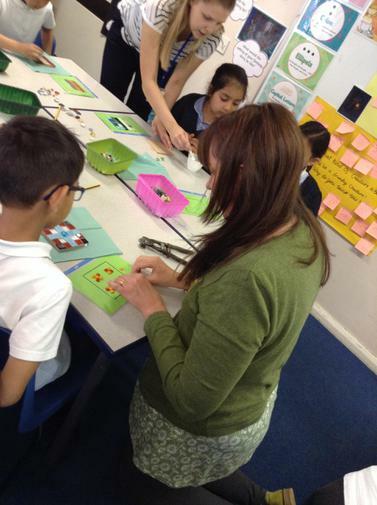 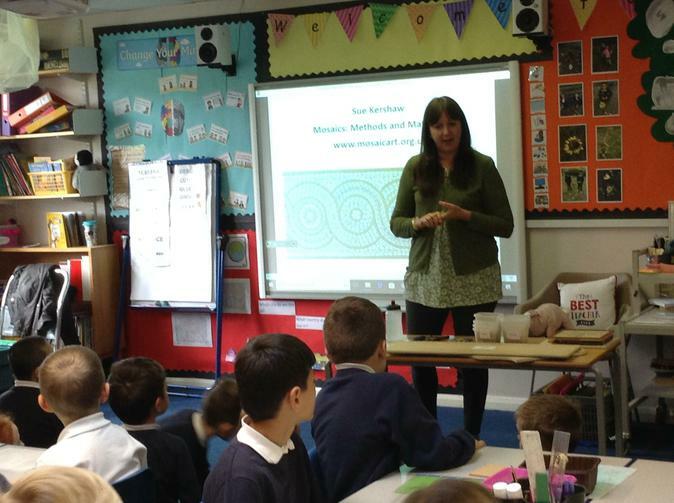 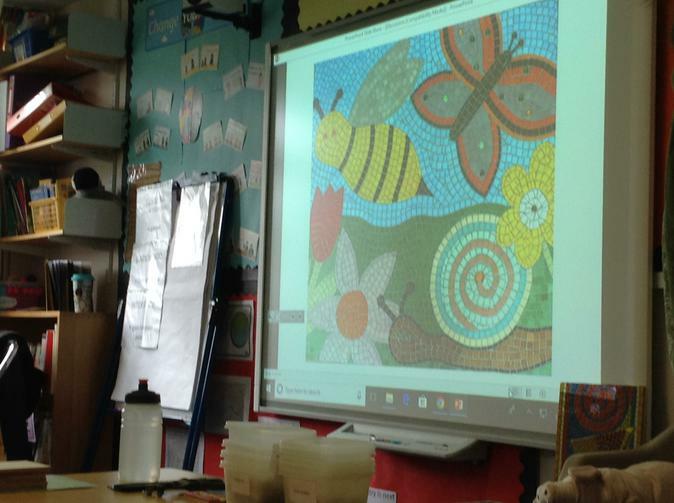 We were lucky enough to have our focus artist Sue Kershaw visit our school and spend the day teaching us the art of mosaic design. 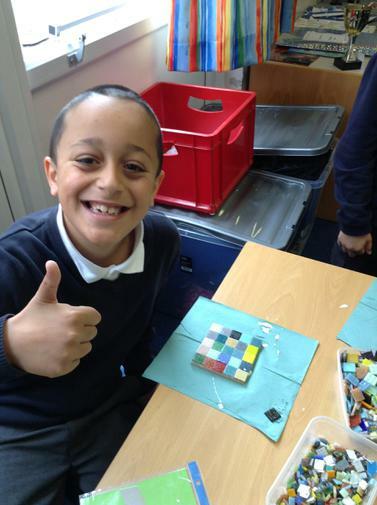 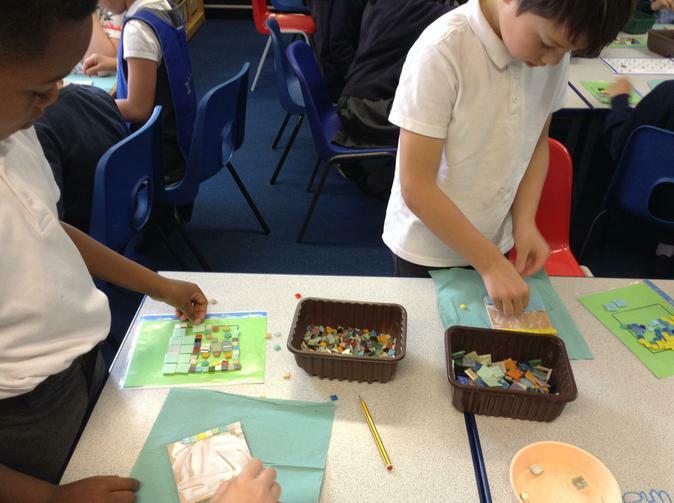 We learnt new skills and created our own mosaic tiles in-keeping with our History topic of Romans. 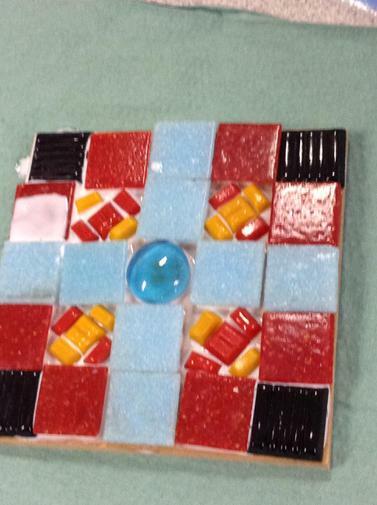 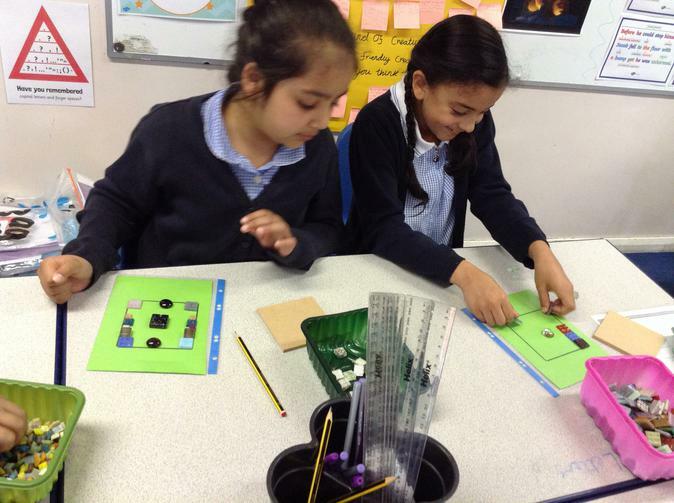 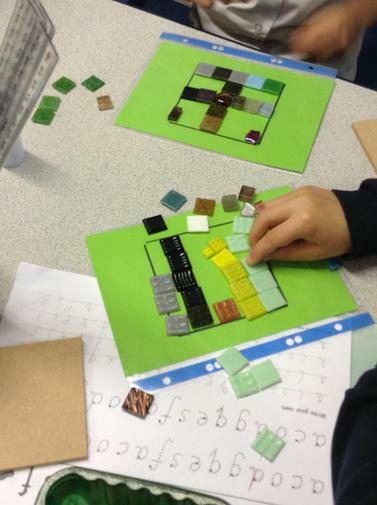 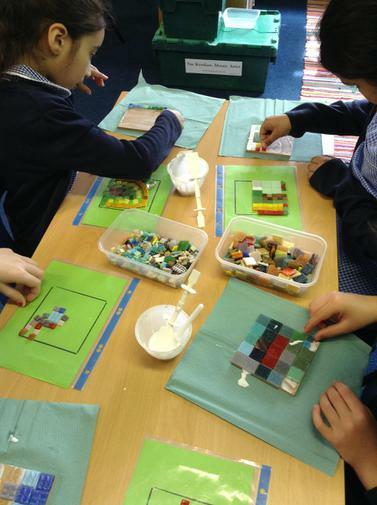 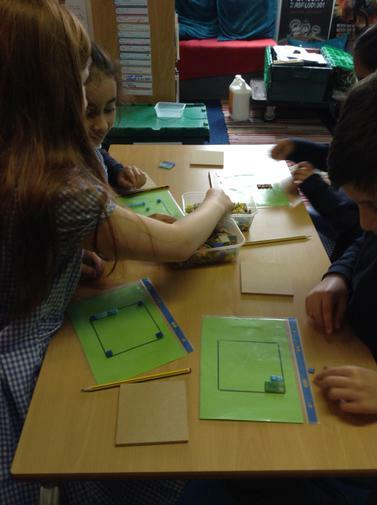 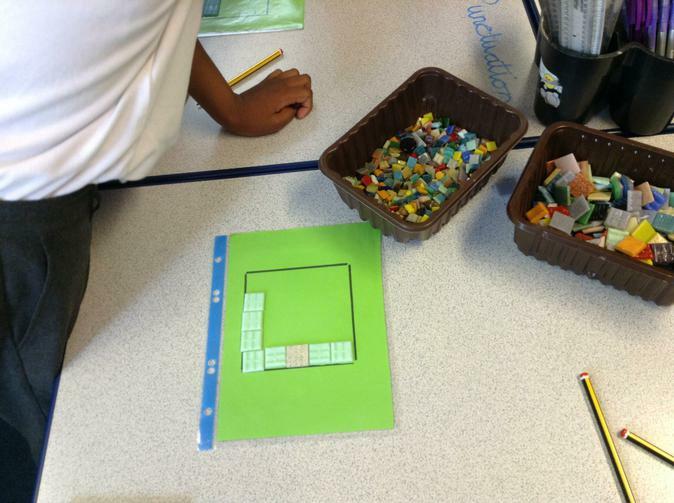 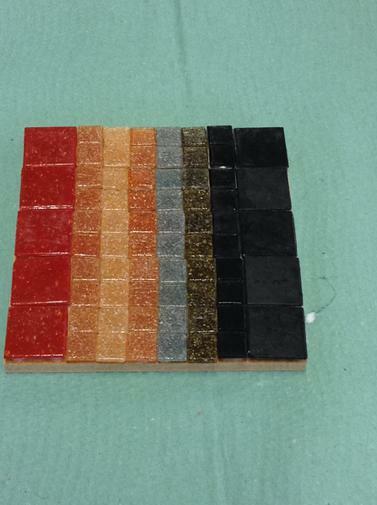 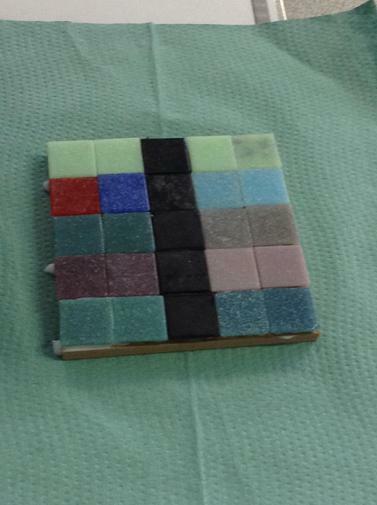 We used glass, ceramic tiles of different shapes, sizes and textures to make our own coasters. 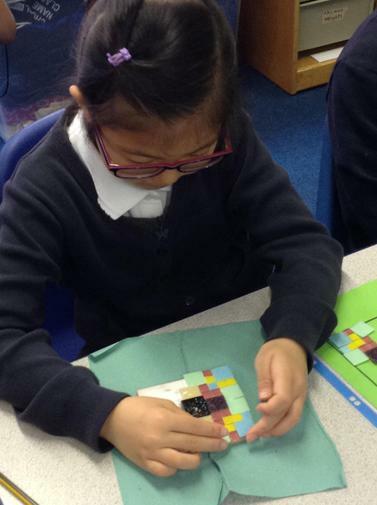 It was very intricate and detailed and the results were fantastic! 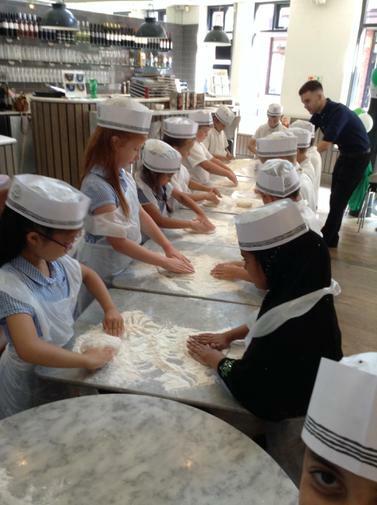 We had so much fun in our DT this half term. 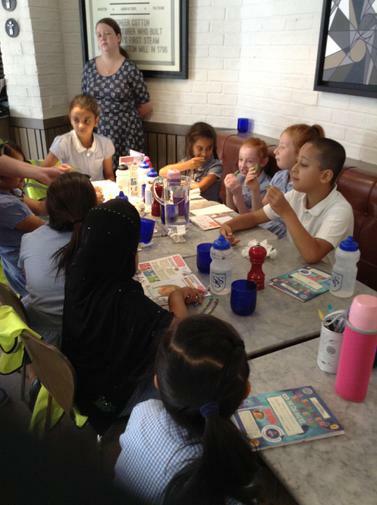 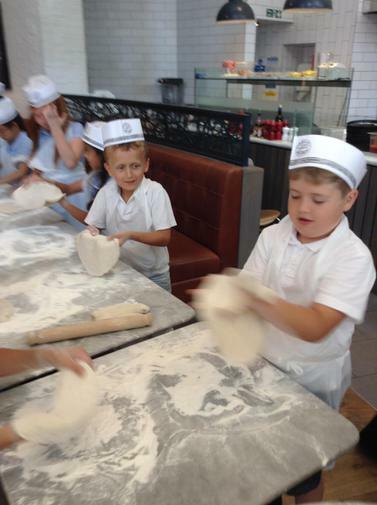 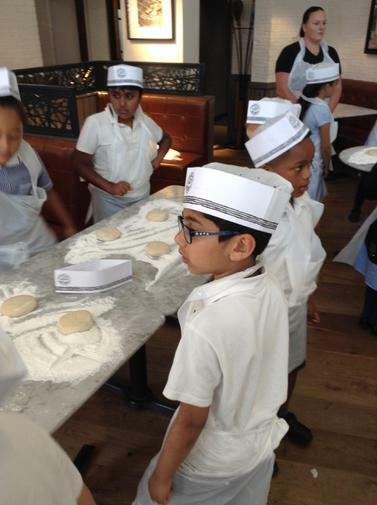 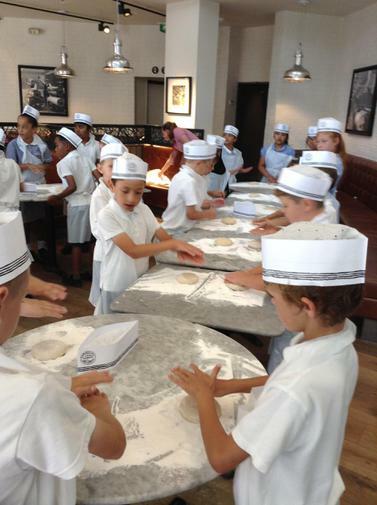 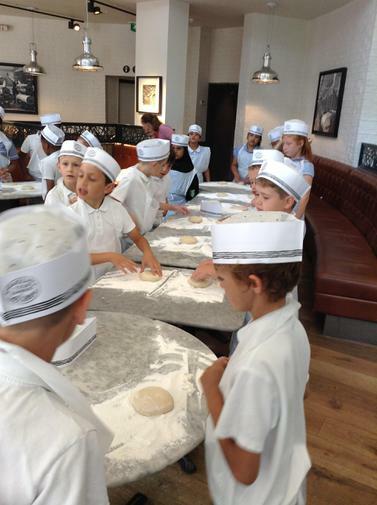 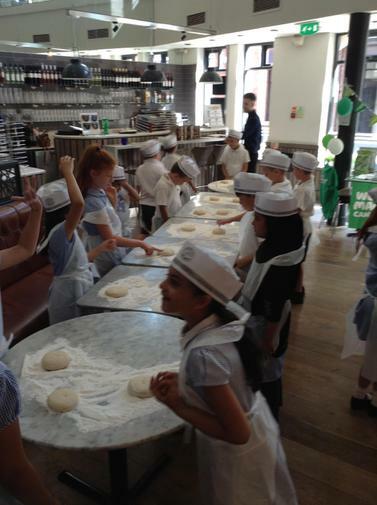 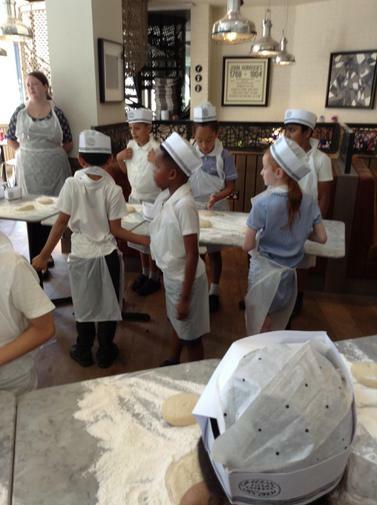 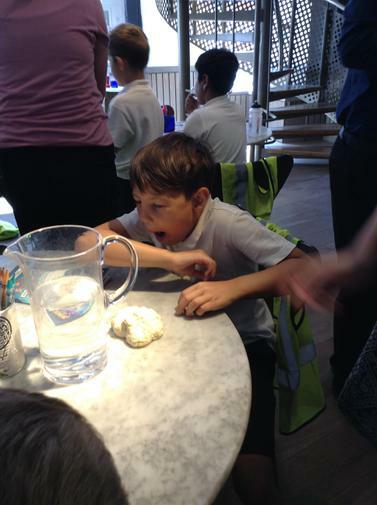 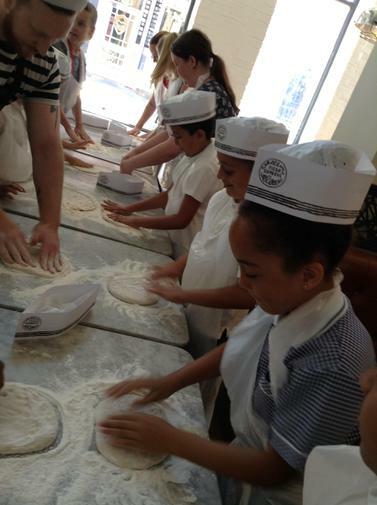 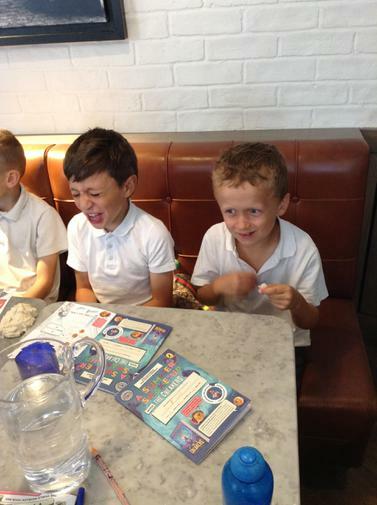 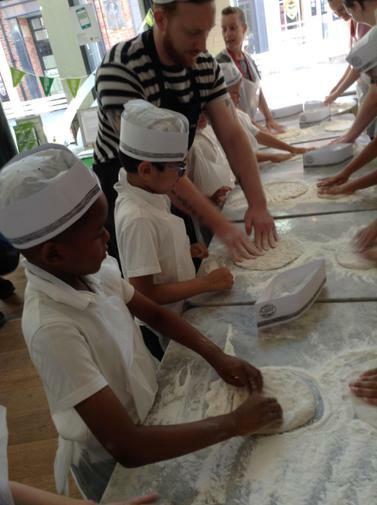 We went to Pizza Express and made our own pizzas!! 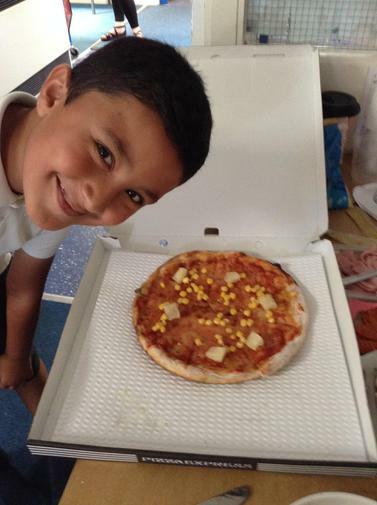 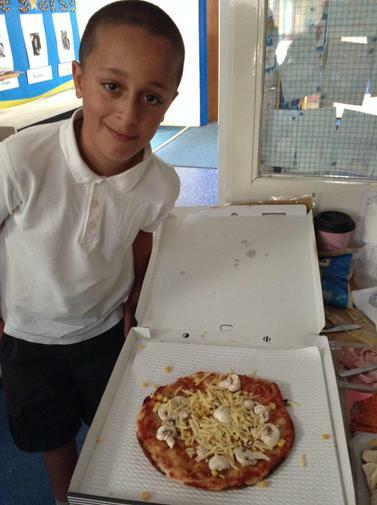 Before hand we researched and designed our own pizzas and when we got there we did some food tasting and learnt about where the different foods come from. 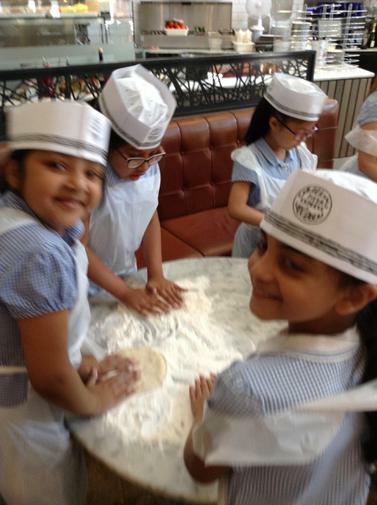 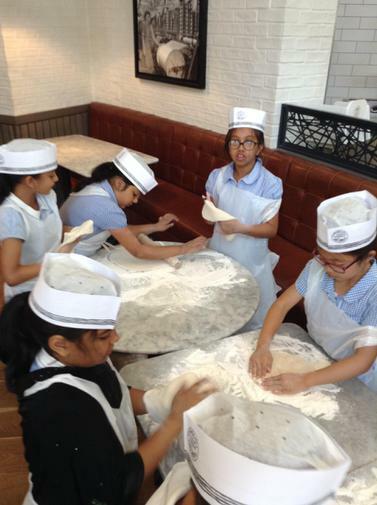 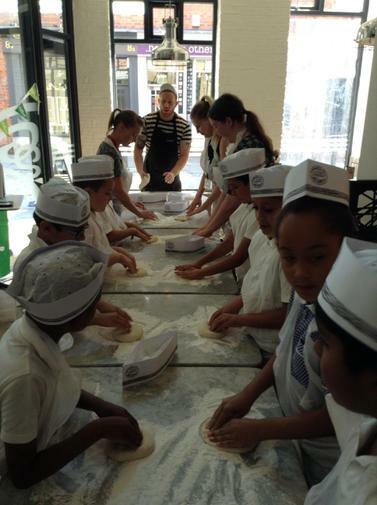 We then made our own dough before adding our bases and mozzarella toppings. 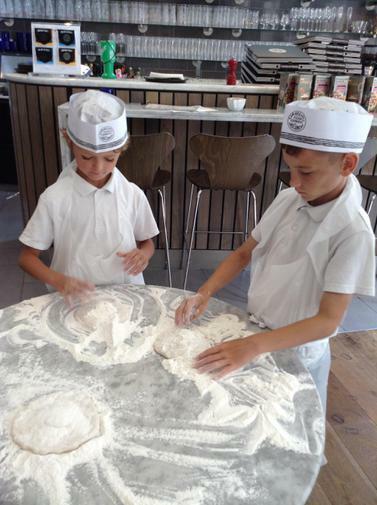 We made sure we washed our hands lots and we helped to clean up whilst our pizzas were cooking in the big oven. 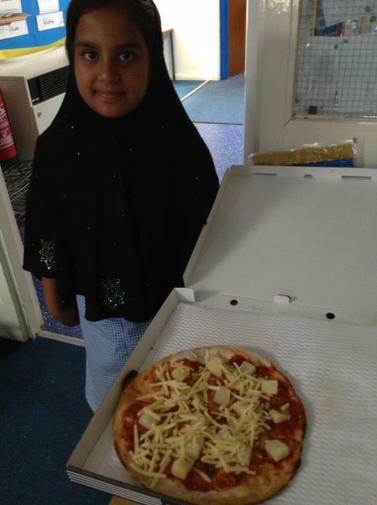 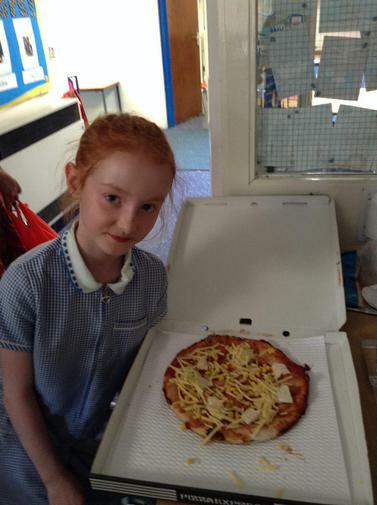 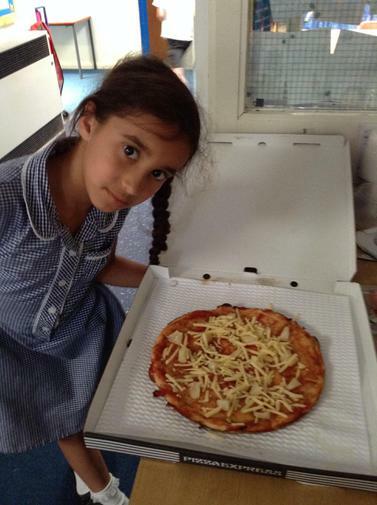 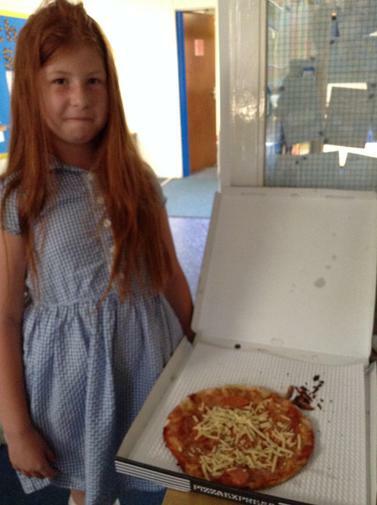 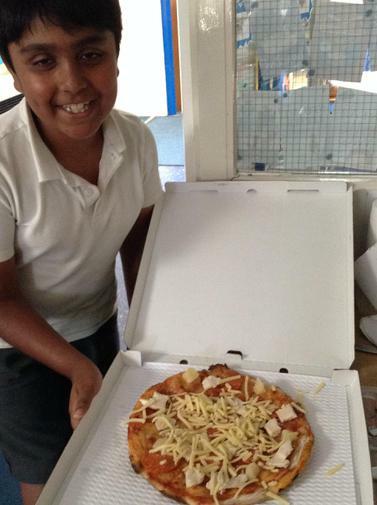 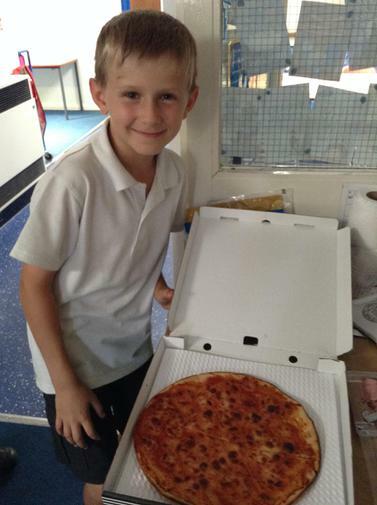 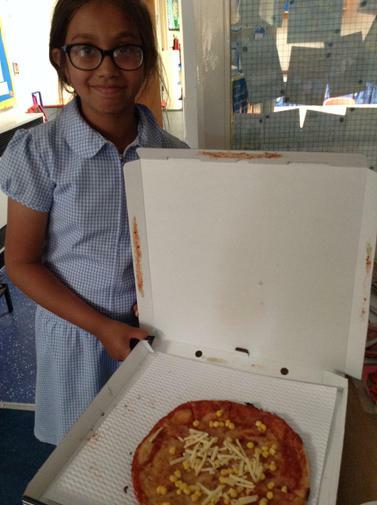 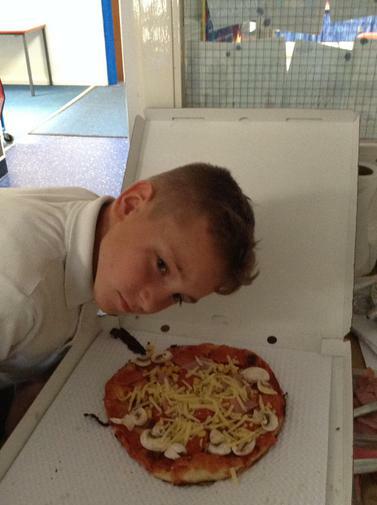 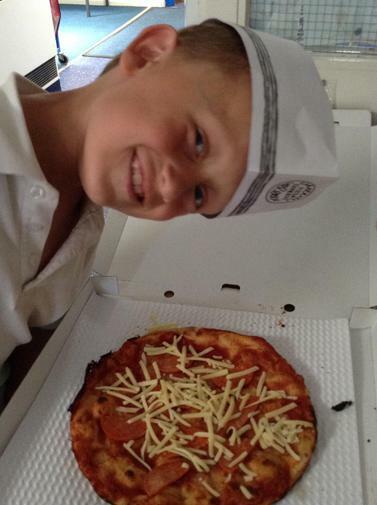 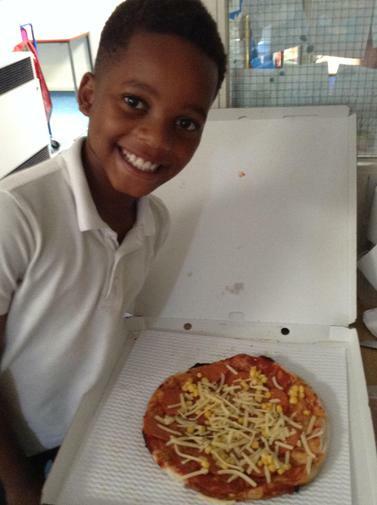 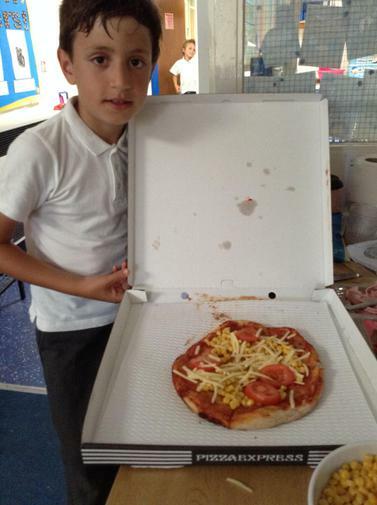 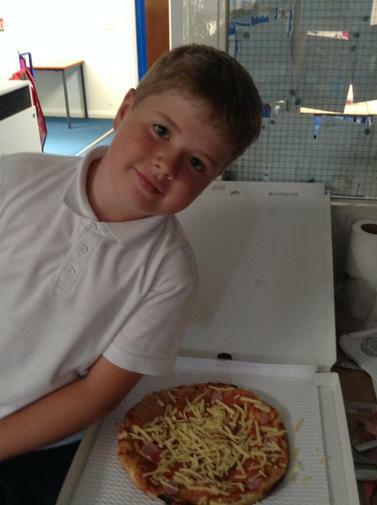 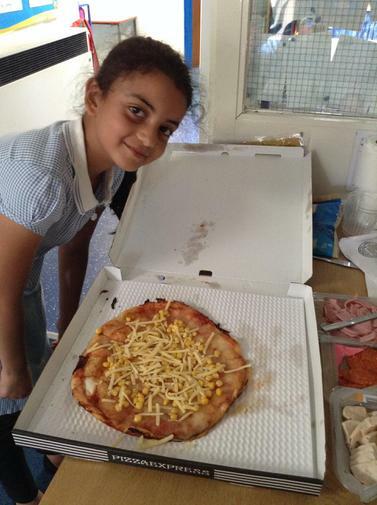 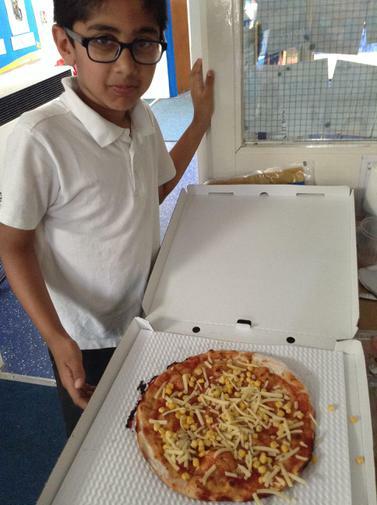 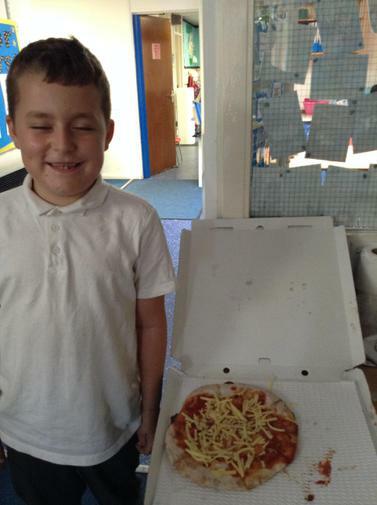 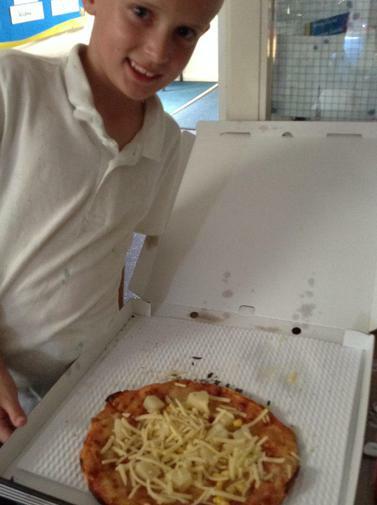 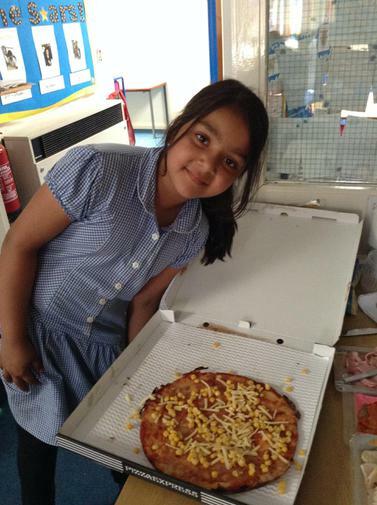 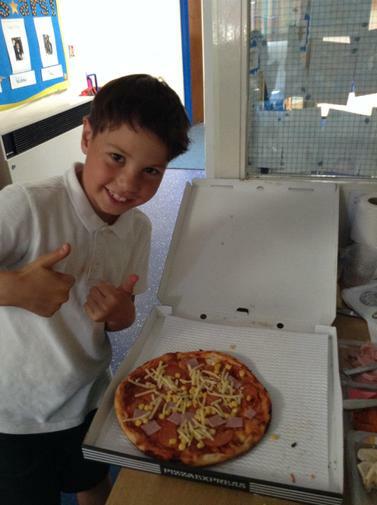 In the afternoon, we chopped, sliced, grated and diced some extra toppings and added them to our pizzas too!